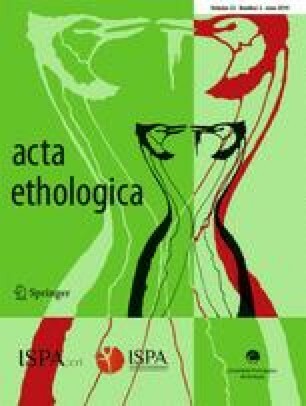 This article describes the organisation of song in the serin (Serinus serinus) and analyses its variation among individuals. Serins have a repertoire of about 50 complex syllables that are sung at a very fast rate and in a very stereotyped order, forming discrete songs. Songs are high pitched for the serin’s body size. Song organisation is circular, with a limited number of starting points. Songs can stop at any point in their cycling. Within songs there are trilled sections and fast, non-repeated sections that account for the greatest part of songs. These two modes of singing also differ in average inter-element intervals and probably in their respiratory kinematics. Bird repertoire size was measured and the difficulties of measuring it in this species are discussed. Repertoires are individually specific and have a variable amount of syllable sharing with other birds. We found evidence for geographical variation in the composition of repertoires. Considering our current knowledge of song in carduelines, the stereotyped and circular nature of serin song appear to be unique within this group of birds.